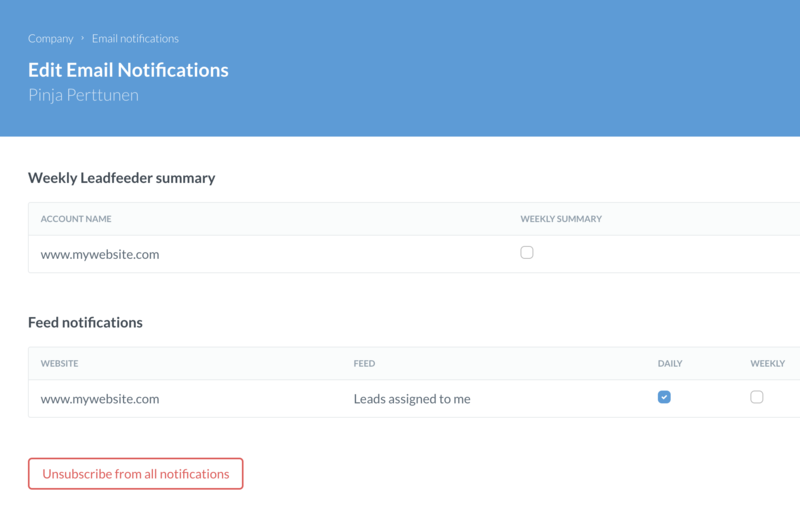 It's simple, quick and easy to configure email notifications for your Leadfeeder website users. NOTE: You are only able to configure email notifications for Leadfeeder website users if you have admin rights. STEP 1: Log in to Leadfeeder and click your name on the right upper corner and selecting Settings for... from the menu. STEP 2: Click tab Company on the left upper corner and select Email notifications. 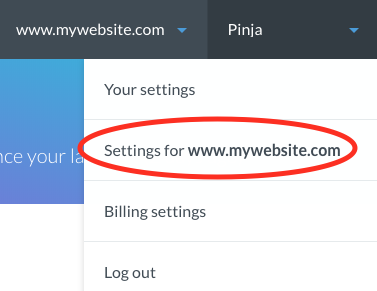 STEP 3: Select a wanted user's email settings by clicking Edit. STEP 4: You can choose to receive email notifications daily or weekly or not at all by clicking Unsubscribe from all notifications. Daily email notifications are send every morning at 9 AM and weekly notifications every Monday at 9 AM local time based on timezone that is set in your Google Analytics.